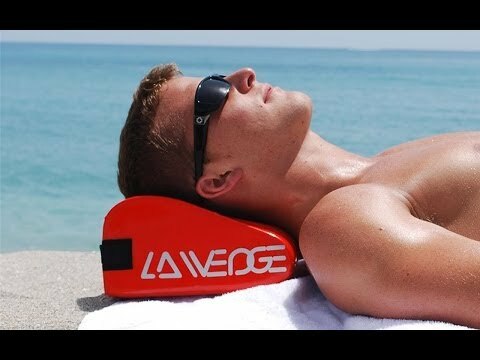 This headrest is specifically angled for comfortable lounging on the beach, and features a hollow center, which is perfect for storing essentials like keys, sunscreen, a wallet, or cellphone. Dimensions: 9.5" x 7" x 4.75"
Fine, my kids think it is silly, but this is a great little beach tool. Fantastic for beach or pool! Love it!!! Lightweight...holds a lot and easy to carry. 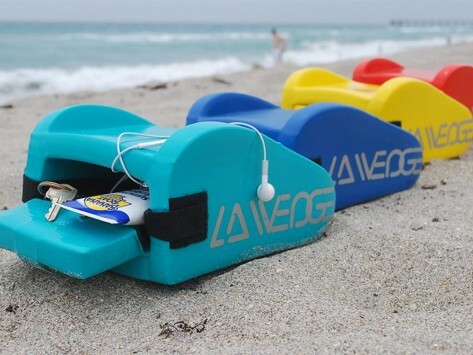 Available in your choice of bright colors and equipped with a convenient carrying strap, LA Wedge sets your head at the perfect angle for kicking back at the beach, pool, lake, park, or anywhere else your travels take you.